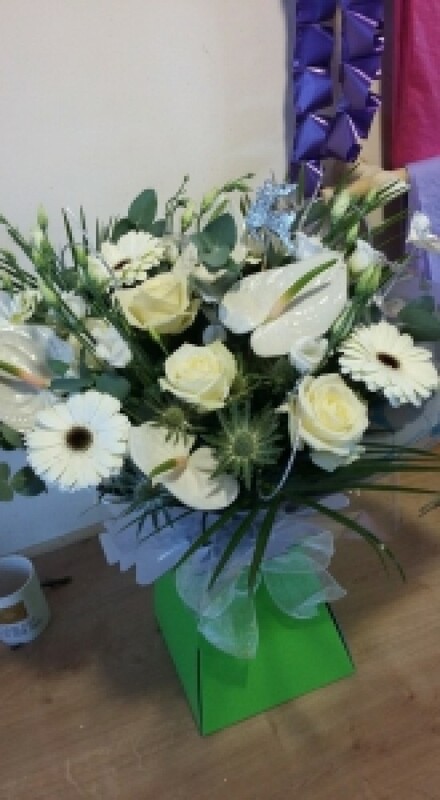 This lovely bouquet is full of classic white flowers (may vary depending on availability) and comes in a presentation box with food and water for longer lasting stems. Includes local delivery. Exact flowers may vary depending on availability.